In the video, students participate in a game testing their engagement with classmates. (GV Wire Photo/Myles Barker). 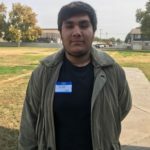 Ever since Mikey Munoz started high school, he kept to himself and didn’t make much of an effort to get to know his classmates. 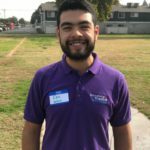 However, that began to change when Munoz and 30 of his environmental science classmates participated in Kaiser Permanente’s Resilience Squad Workshop Series. For the second consecutive year, Kaiser Permanente’s Resilience Squad is holding a four-day workshop series at Cambridge. The hour-long workshops are designed to create a safe space for students to develop effective coping skills for trauma and stress, said workshop manager Eric Gutierrez. “These are tools that my kids need, especially as we are getting closer to the holidays,” Cambridge Principal Pete Pulos said. Research shows that exposure to violence and ongoing trauma can affect short-to-long-term health for students, Gutierrez said. “Our goal is to destigmatize things like trauma and anxiety and start conversations to build trust and empathy,” he said. Gutierrez and his team hold workshops throughout Northern California. They target schools where students have experienced high levels of trauma and stress. Pulos said that he is glad the Resilience Squad chose to hold workshops at Cambridge.